This year’s event was again a smashing success, with a new date that worked well for many reenactors. 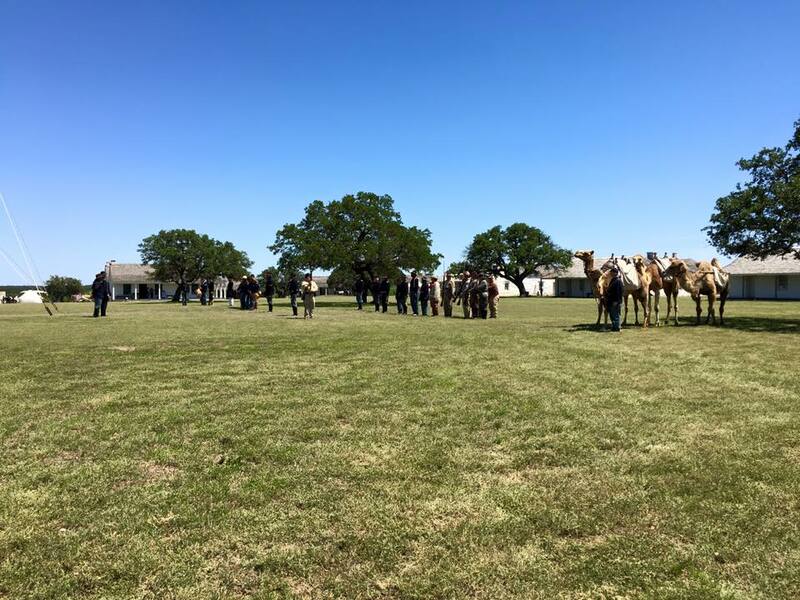 The parade field at Fort McKavett State Historic Site was alive with historic reenactors who set up various displays about life and soldiering on the Texas frontier. 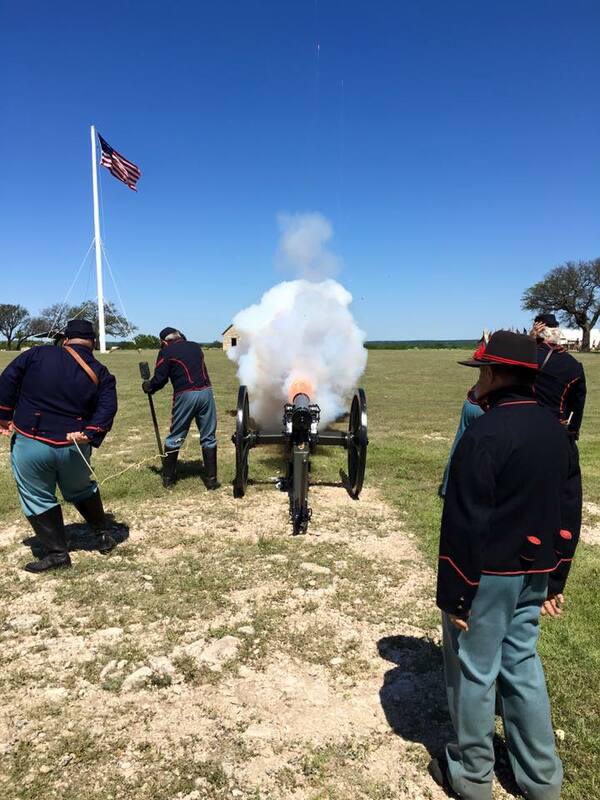 Fort McKavett was home to many different interpreters who set up exhibits ranging from Lipan Apache encampments and pioneer family settlements to Buffalo Soldier Cavalry camps and muzzle-loading artillery batteries. We had more than 130 different reenactors from around the state and even some from New Mexico. With the new date and beautiful weather, we were pleased to have so many come from so far. Friday was Education Day. Beginning around 7:30 a.m., many schoolchildren from the region arrived to experience the wonder of history brought to life through exhibits and demonstrations. Students were from Sonora, Junction, Menard, Veribest, Richland Springs, and San Angelo. Artillery and infantry demonstrations were scattered throughout the day, with the sounds of battle keeping everyone on their toes. We hope the students left that afternoon with a better understanding and appreciation of history and their ancestors. Saturday was open to the public, and two very special occasions took place that day. The first was the Fort McKavett celebration of the 150th anniversary of the Buffalo Soldiers—all-African American Army regiments founded on July 28, 1866. 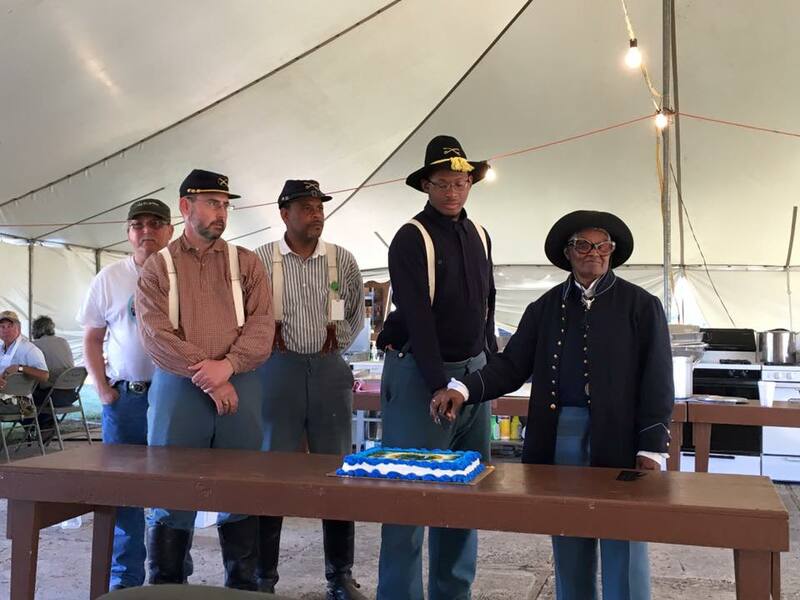 Members of the Texas Parks and Wildlife Department’s Buffalo Soldier Heritage and Outreach Program provided a cake for the public to enjoy while commemorating the honored history of the first African American Regulars in the U.S. Army. A declaration was read by Post Adjutant Eric Abercrombie (of Fort Griffin State Historic Site), and the cake was cut by Rosieleeta Reed with Allen Mack and other members of the Buffalo Soldiers program. The second special occasion was a proclamation by the Friends of Fort McKavett proclaiming Saturday May 7, 2016 to be John Cobb Day. Cobb is a well-known and respected Texas historian and photographer who has spent 50 years working toward the advancement of Texas history. He’s been coming to Fort McKavett for decades in an effort to help preserve and protect the fort and its history. 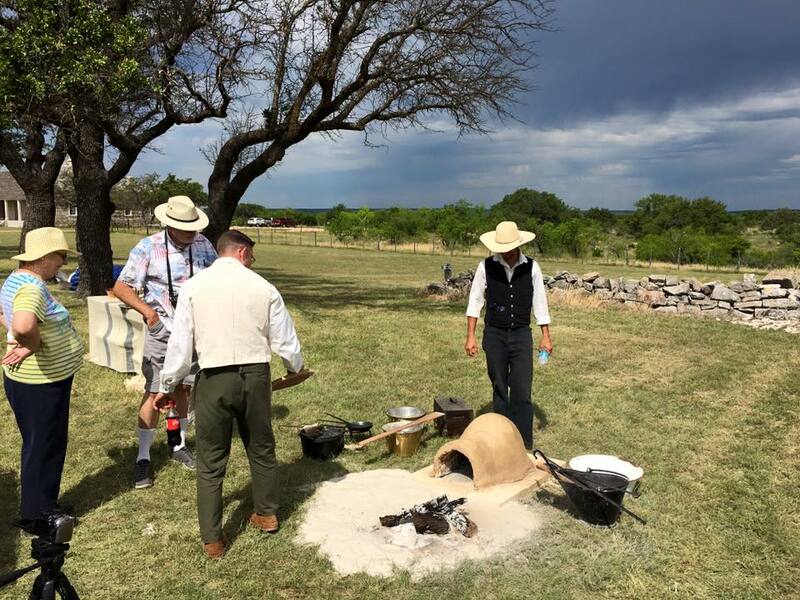 A member of the Friends of Fort McKavett, Cobb has been instrumental in the success of our living history programs and other programs and events such as the Old Stories, New Voices Youth Camp and West Texas Heritage Days. The day was proclaimed in his name to honor his many years of dedicated service to Fort McKavett and the State of Texas. Saturday climaxed with a barbecue lunch provided by the Friends of Fort McKavett. The Sahawe Indian Dancers from Uvalde graced us with a beautiful performance of traditional Native American dances. Another great addition was the 2nd Annual Fort McKavett Cemetery Tour led by cemetery advocate and volunteer Tina Delong, with Texas photoblogger Greg Bodin and bugler, Timothy Phillips. A Roll Call of the Dead Ceremony was performed with a 21-gun salute to honor the soldiers still buried at the cemetery. 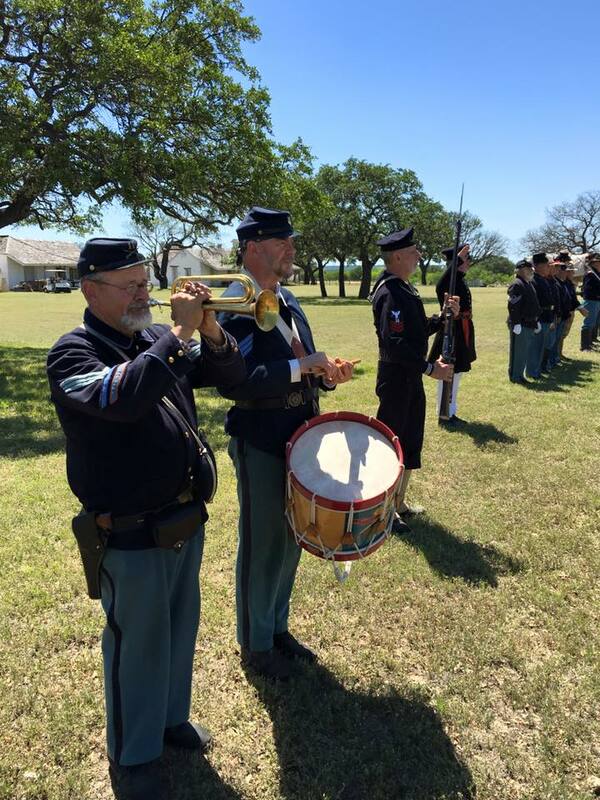 Overall, the 2016 West Texas Heritage Days at Fort McKavett was a spectacular success. For everyone who participated and attended, thank you very much! We enjoyed hosting you and hope to see you again next year! The sounds of battle kept everyone on their toes throughout the day.